How do we keep felons from ending up back in prison after they have served their time and been released? One Utah lawmaker says much of the recidivism is due to former felons being unable to find employment, and she has a solution to fix it. 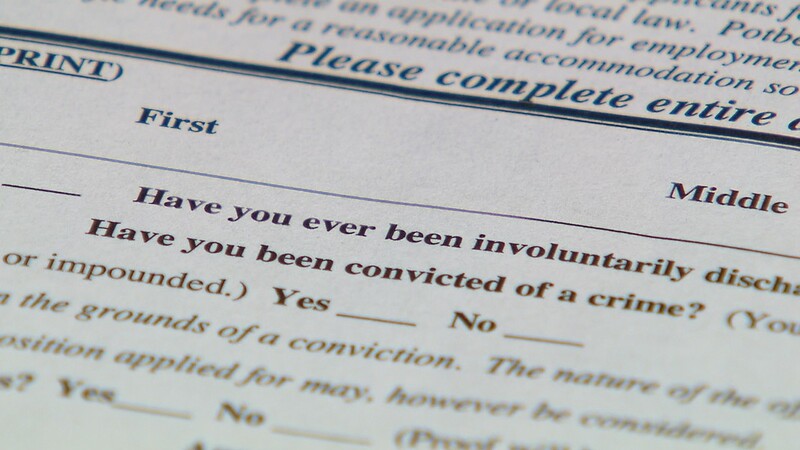 Rep. Sandra Hollins, D-Salt Lake City, is trying to get Utah to join the national “Ban the Box” movement, an effort to get employers to remove the check-boxes on employment applications asking applicants if they have ever been convicted of a felony. The “ban the box” movement has swept across the nation recently, with 19 states and over 100 cities and counties passing the laws—most within the past 3 years—requiring employers to make individualized assessments of job applicants, rather than blanket exclusions without any context of what the felony conviction is, how it happened, or when it occurred. Even in the United Kingdom, Prime Minister David Cameron announced this month he was following the United States’ lead and instituting the rules for public employees in the UK. Hollins wants to emphasize that nothing in her bill forbids employers from performing background checks on prospective employees, nor does it stop them from refusing to hire someone because of a past conviction. “Too many past convicts are now homeless or living in poverty because they have no opportunities," Hollins, who is also a social worker, says. "And a lot of the time if a person is able to get into a job interview and explain what happened, the employer has no problem." Hollins says past felons “deserve that chance to participate in our economic system,” or they’re going to turn to a life of crime to provide for their families. The bill has not yet been assigned to a committee for a hearing.